Today I'm linking up for my first Math is Real Life Linky! 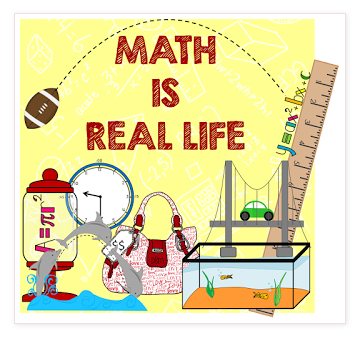 Math is Real Life linky is a monthly REAL WORLD math blog link-up hosted by 4mulafun, The Teacher Studio, Miss Math Dork, and Teaching to Inspire in 5th! It's all about measurement today with a peek into Mrs. O's kitchen! We've had some seriously rainy days in the past week. Since I go back to school two weeks from today, it was time to make a batch of sauce. That's right, I make my own homemade spaghetti sauce. As someone who grew up in a predominately Italian area (though I'm not Italian), it was kind of a rite of passage and a prerequisite for dating to be able to make your own sauce. However, I didn't master it until I was in my mid-20's. Now, I'm not about to give away my super secret recipe. 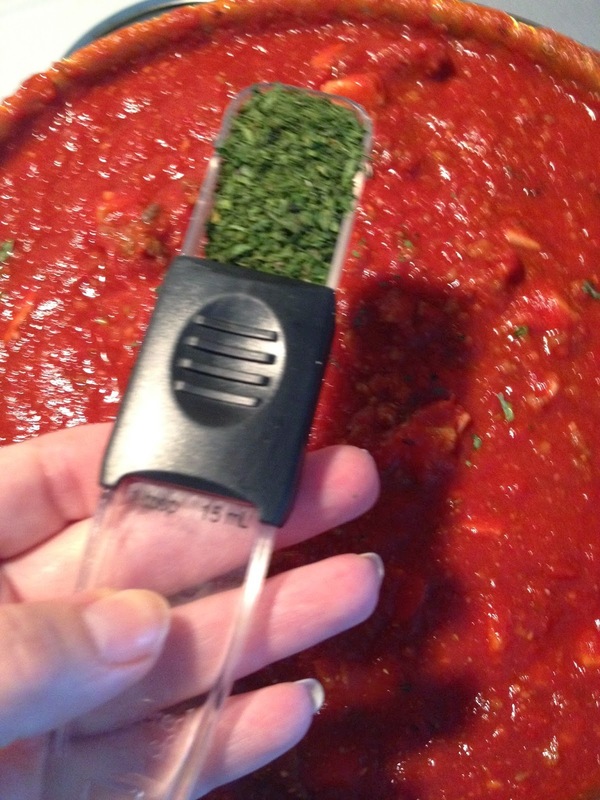 Instead, I want to show the many ways that I use measurement to be a sauce-making success! So let's get this sauce-y party started! I start with 3 pounds of meat. Since the containers that I purchase have more than a pound, I have to weigh each portion of meat. 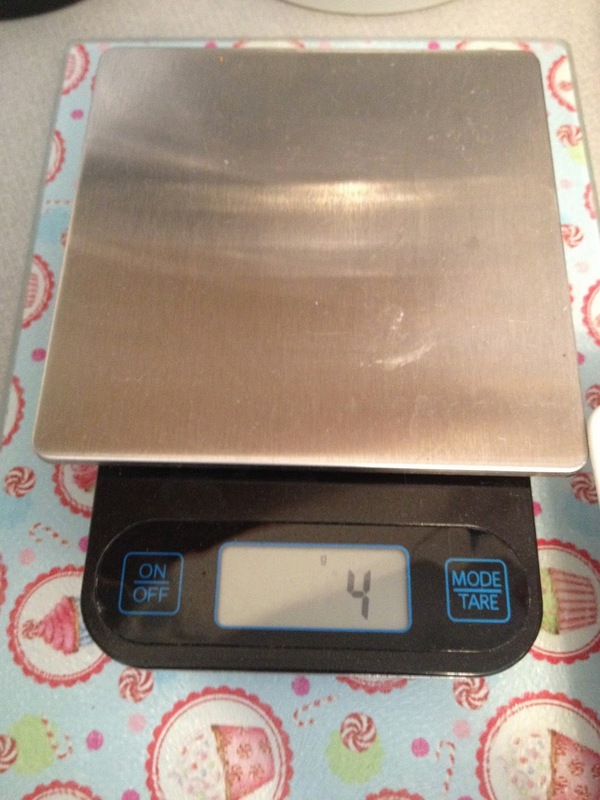 However, my food scale only weighs in ounces, so I have do a bit of converting. I need 16 ounces of three different meats. Add that up, and I have a total of 48 ounces of meat in my sauce! Once I have all of the meat cooking in the pan, I have to prepare other ingredients. Do you know what's in the picture below? The ingredient in the back is blended mushrooms. I know, some of you are saying, "Yuck!" I have to have one cup of blended mushrooms so after I blend the mushrooms up, I have to measure them to be sure that I have the right amount. The bottom ingredient is diced onions. I have to cut an onion, then dice half of it in 1/4 inch pieces and blend the other half. Is your head spinning with math yet? 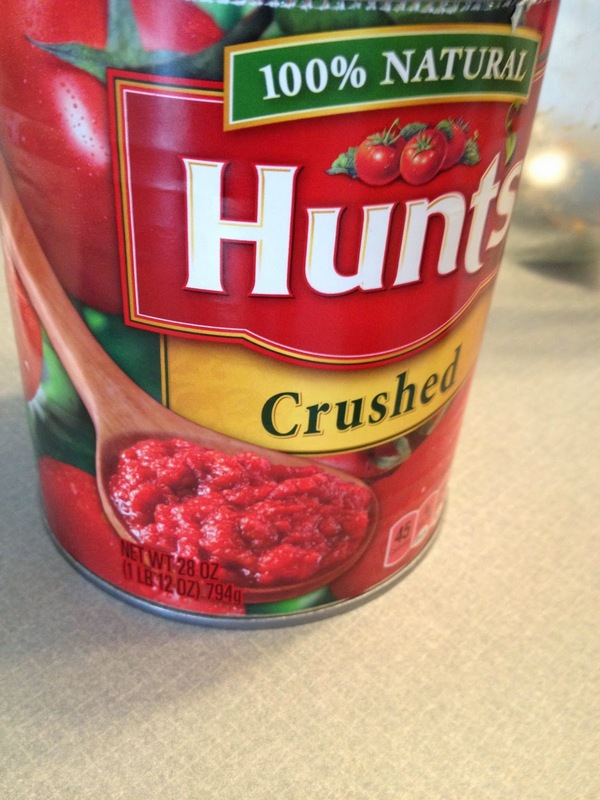 I need a lot of crushed tomatoes. I can't wait to own a house in a few years and be able to grow and can my own tomatoes, but until then I have to settle for the canned tomatoes from the store. These giant cans are 28 oz. Of course, I need about 100 oz. otherwise my cooking pot will overflow. I have to get 4 cans, dump in 3, and then estimate about 3/4 of the 4th can. 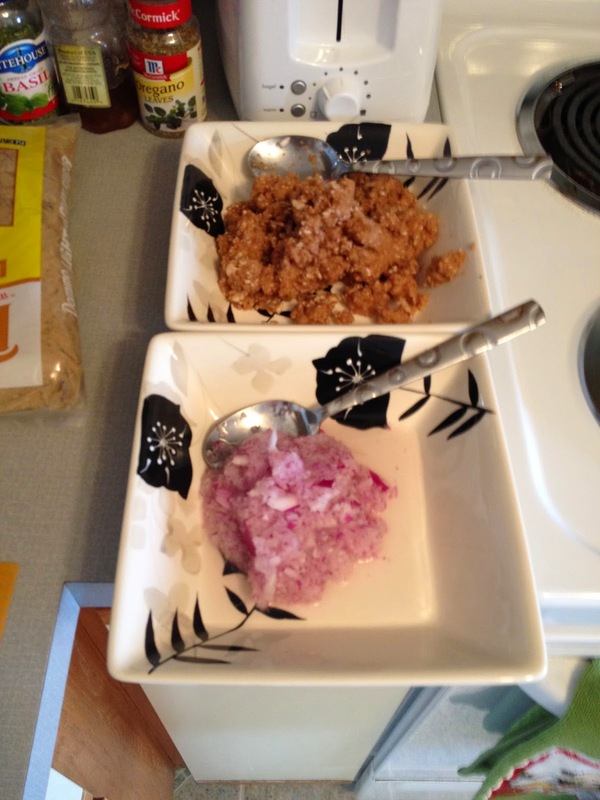 Then it's time to add the seasonings, all of which are measured in either tablespoons or teaspoons! I've got the tablespoon out for the oregano! When all of the ingredients are mixed in, it's time to let the sauce cook. I have to use my elapsed time skills so that I can tell Mr. O what time the sauce will be ready. I start it at 12:06 p.m. and it has to cook for about 5 hours so I estimate that it will be done around 5:00 p.m! Tick tock, tick tock! By the time my sauce is finished, I have used math in real life by measuring in teaspoons, tablespoons, cups, inches, ounces, and pounds. I used addition when I was preparing the meat and crushed tomatoes. I've converted ounces to pounds and I 've estimated both time and capacity. And the taste of the sauce? Worth every moment of that work! One pot of sauce makes enough for 6 meals for the hubby and I. We're stocked up until the fall now! Haha! People definitely have a love/hate relationship with mushrooms. Thanks for hosting the linky! I'm already thinking about my post for next month! Looks great! Elapsed time is always a tricky skill for my students but one that gets used over and over again in real life. How else can you figure out how long until recess! This looks BEYOND DELICIOUS!!! (email me the recipe, please and thank you!?!) Thanks so much for linking up! I hope you can join us again in the future! Oh, there's a fee for the secret Ostrander recipe! :-) I'll definitely be joining for this fantastic linky again! Love that you went step by step through your sauce making! Very organised of you!